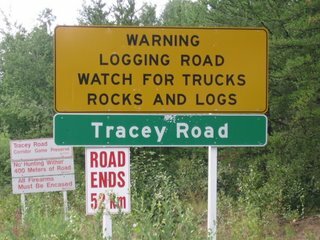 And so I went on the road, and because my name is spelled wrong, I decided not to take this particular road (it was only good for 52 kilometers anyway). 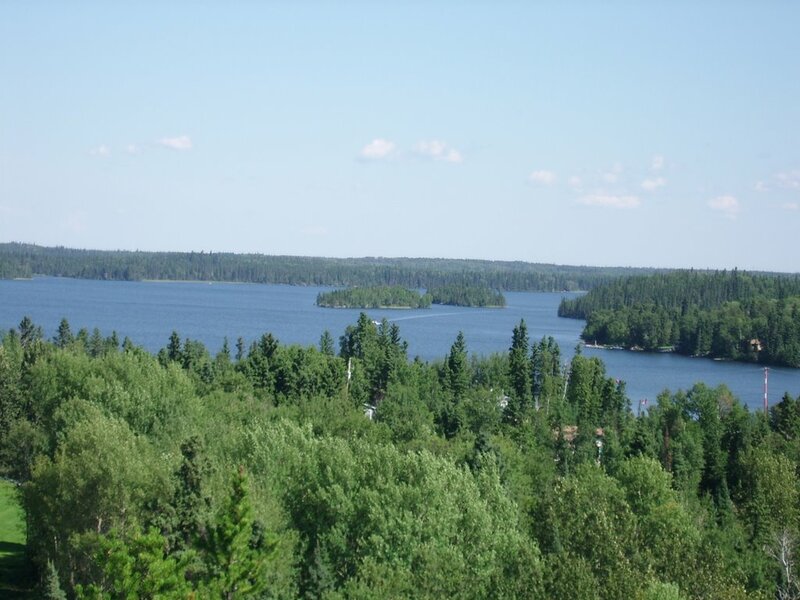 My ultimate goal was Neso Lake in Manitoba, a lovely area just outside of Flin Flon. 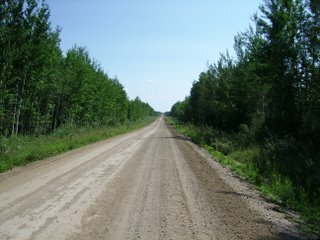 This is road #165 that goes from just south of La Ronge to the Hanson Lake Road. It was so straight at times that all you could see were the trees and the road. 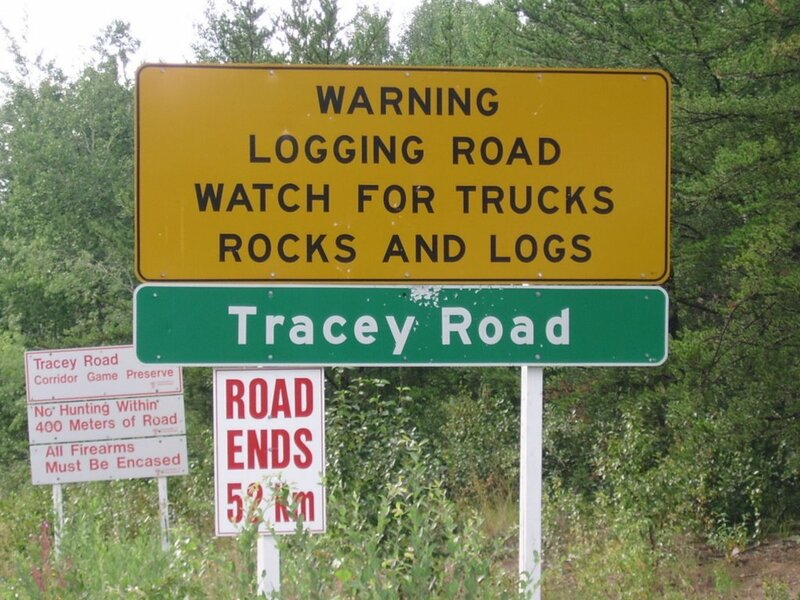 This is very close to the geographical centre of Saskatchewan (just a bit north of it), so for those that think we’re only horizon and prairie, think again. 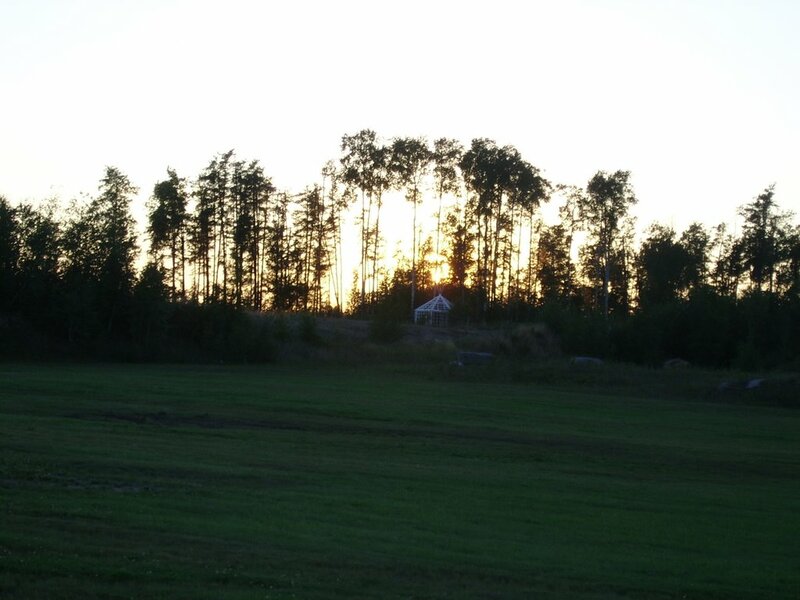 Amidst the carpet of green the belly of the land is hidden among the trees. 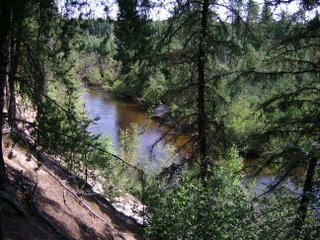 Hiking in from the road, we realize it is beautifully alive with vegetation I’ve never seen before. 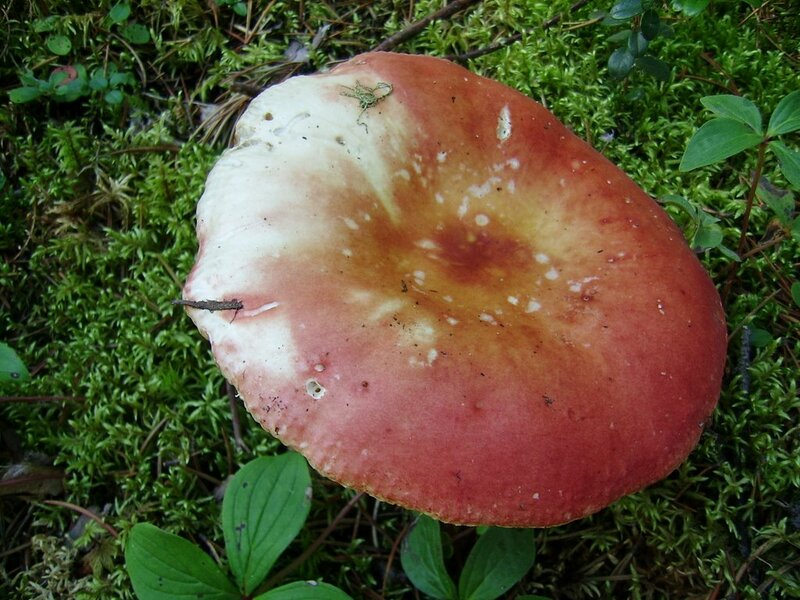 Some were mushrooms like this, although I don’t know anything about any of it, I would love to know what’s edible and what’s not. 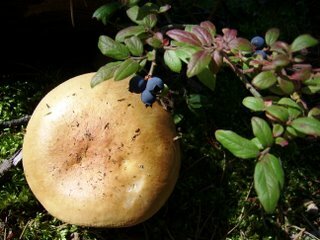 This mushroom was spotted on a 1.3k hiking trail to the sand cliffs as we were heading east from La Ronge to Flin Flon. The end result of our hike. 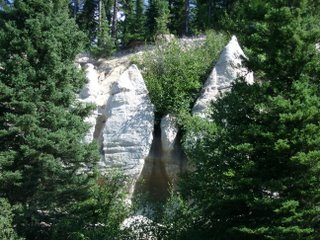 Of course, we couldn’t get an eagle’s eye view, but we did get quite a nice view of the Nipekamew Cliffs from the banks of the Nipekamew River. A sun falls in the horizon through the trees, burnishing through the branches and into the heart’s memory. The view here is from Bakers Narrow’s tower. 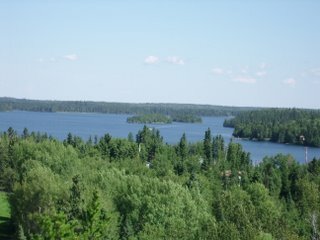 A terrific view of many of the lakes that surround the area.